TLC For kids has been providing nanny placements for over 30 years in St. Louis and also serves South Florida and Atlanta. We are often asked why an agency can be a benefit for families when there are so many do-it-yourself options on the web. I wanted to share a list of quick points to consider when making your choice! Nanny agencies have developed an arsenal of screening tools to help them in their work. A good agency knows how to spot “red flags” and eliminates the candidates who don’t meet their requirements. Sometimes the detailed application and the knowledge that the agency will be screening them alone helps screen those that would otherwise try to apply directly to an on-line site or individual families. Application forms, which cover education and work history and provide “what-if” questions to assess childcare knowledge. Age: 18 was the minimum; some nanny agencies may expect applicants to be at least 21. Experience: initially “some babysitting,” now more often two years full time in a similar situation, even for those with teaching experience (great but not the same). Education: initially a high school diploma, now often two or more years of college. Interviews, one or several by telephone (for out-of-state applicants) and/or in person, for both nanny and family. Local applicants should without exception have been interviewed in person, with references checked prior to referral to the family. A premium service may interview nanny and/or family in-home. Reference checks, as letters or conducted by telephone, anecdotal or fill-in-the-blanks. Standardized questionnaires for interviewing useful in comparing nanny candidates. Standardized personality screening of nanny and/or family to assess personal style and potential for mutual compatibility of family and nanny. Helping caregivers find rewarding careers as a nanny is such a fulfilling job. I love being able to match nannies and Saint Louis families looking for childcare. Today I received this email from a nanny. It brought a smile to my face on this cold morning! We have lots of great jobs for nannies. Check out our job board for all the available positions, and then click to apply for nanny jobs. Even if your little ones are not going back to school they can still get sick this fall. Here are a few things you can do to prevent an illness in your newborn. 1. Flu shots: everyone in your household over the age of 6 months should get a flu shot. This will minimize the risk that your infant will get sick, since we cannot give the shot to children under 6 months. 2. Whooping cough shots: there is currently an epidemic of whooping cough in some areas of the US. 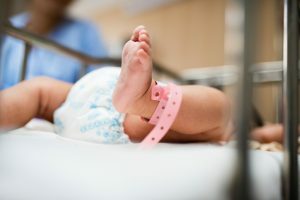 While mostly annoying it sometimes can be debilitating to older children and adults with several weeks of a relentless cough, but to an infant it can be fatal. Most of us have been immunized as children, but immunity wears off over the following decades. The vast majority of cases in infants come from parents. Everyone over 10 years including parents, grandparents, caregivers and anyone else in contact with your infant should get the booster shot now. Your family doctor or pediatrician, an urgent care or clinic can give it. 3. Clean hands: Wash your hands frequently throughout the day. Also, ask anyone who comes in contact with your infant to clean their hands first. Stopping the spreading of germs is one of the best ways to keep you baby healthy this Fall. TLC for Kids Newborn Specialists are available to take care of your little one’s this Fall. Our Specialists are trained to give the highest quality care to newborns. They are also available to help teach newborn care to the parents. Please visit our website for more information on our Newborn Services. National Nanny Recognition Week (NNRW) is a week long event, created in 1998, to bring awareness to the positive impact nannies and caregivers have on the children and families they work with. All too often we hear the negative stories of caregivers, but not enough of the positive. 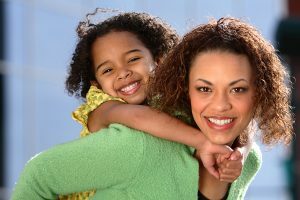 Nannies give their hearts to the children they care for, often sacrificing time away from their own family and friends. Being a nanny isn’t about working for wealthy or celebrity parents – it’s walking in the door and having the child run to you with open arms because they are happy to see you and can’t wait for the next adventure. It’s about the child drawing a picture of their family, with the nanny proudly displayed for all to see. How can you say Thank You to your nanny? From the TLC family to all our nannies … Thank You! We appreciate all you do day after day, and are grateful to have you as part of our family of caregivers. Accidents happen every day in people’s lives, whether at home or out in public. 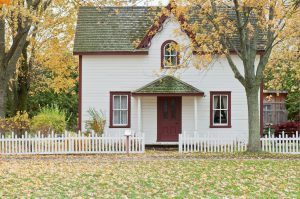 While accidents can occur anywhere and to anyone, some of the most common and even the most dangerous ones occur at home. Below is a list of some of the most common accidents that take place in the home. Falling Objects – If you have children then you know that once they start moving around on their own, they begin touching everything in the house. They can potentially knock stuff over, leading to broken objects or a bump on the head. To prevent this from happening, make sure electrical cords, table cloths, and any dishes are out of reach. Trips and Falls – Obviously anyone can fall, but falls usually occur in young children and the elderly. You can help prevent trips and falls by making sure things get picked up off the floor, that cords are not running along the floor, and by making sure carpets are tacked down. Look for any tripping hazard and deal with it right away. Often times if a young child falls, you can soothe them with kind words and hugs and kisses. However, if you notice that after a person falls they become drowsy, vomits, or loses consciousness, get medical attention right away. There could be something seriously wrong and it’s best to get them checked out by a doctor. Dangerous Furniture – Be careful with furniture that has sharp corners, like a coffee table. You can get covers to make the corners not so sharp. Also, be careful with glass top tables, especially if you have small children. Take stock of the furniture around your home to see that it’s safe. Anchoring large, heavy furniture to the wall will help prevent you from getting pinned under these objects, especially small children. When hanging a TV on the wall, make sure it’s well secured and wires are tucked away. Sharp Objects – Beware of these, not just when you have children around. When you wash knives you want to make sure you put them away properly, so that when you reach for something you don’t accidentally cut yourself. Getting Burnt – Hot drinks and foods are the most common thing to cause burns and scalds to children under the age of five. Of course children should be kept away from the oven, open flames, and irons (anything hot). Also, make sure the temperature on your water heater is not set too high, to help prevent scalding burns in the bathtub. You should not have it set any hotter than 120 degrees F (49 degrees C). The most common ways that adults get burnt is when cooking and straightening hair. All burn wounds should be held under cold running water for a couple minutes. The best way to cover a burn to prevent infection is by covering with plastic and taping down. Poisoning – Most poisoning incidents involve medications and household products. It’s important that these things are kept out of reach of children and anyone you feel may want to use it to intentionally cause harm to him- or herself. When it comes to the health and happiness of our home and loved ones, we want to take all precautions possible to prevent injuries. If an accident does occur, though, it’s vital to know what to do. Creating a family budget is within everyone’s reach, but creating a successful one requires some particular methods. 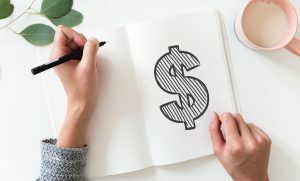 Here are some tips to help you create a successful family budget. Some budgets are so tight that it may seem there’s no room for any luxury. But if you get a bit creative about what constitutes a luxury, you will probably find you can in fact afford some kind of privilege or luxury. It could be something like buying your favorite brand name item at the store instead of settling for the store brand, or maybe buying fresh fish instead of frozen once a month. Maybe ordering a pizza or Chinese food is a luxury for your family that you can include in your budget. If you are budgeting with more money, your luxury could be a family vacation or new piece of electronic equipment. The point is to include some kind of luxury in your budget. This helps keep family members motivated and makes the budget easier to deal with. For some, using software to lay out the family budget can be very helpful. Software that is designed for the purpose may make creating the budget easier. As you look at the things that cost you money, remember gas and miles on your car. Combining errands is something most people try to do; but there might be some other combinations that you hadn’t thought of. For example, visit out-of-town family members during your vacation. This distinction is harder to make for some people than others, and it’s tougher in some family dynamics than others. What one person thinks of as a “necessity” might be looked at as a luxury by someone else. If you’re in doubt, check budget formats and accepted principles in this regard that come from a third party. It’s unpleasant, but paying off debts needs to be high on the priority list for your family budget. The sooner they’re paid off, the sooner you’ll have more money left over! When we laugh, our bodies release endorphins, which make us feel good and give us a sense of wellbeing. Laughing also reduces the levels of stress hormones in the body, which eases tension and anxiety. Reducing your stress hormone levels may also boost the performance of your immune system. This means that laughter may also help keep you and your kids healthy. The area of infant sleep is somewhat controversial. Some advocate letting babies “cry it out,” while others believe in meeting baby’s needs around the clock. Still others support co-sleeping, while the crib camp points to the advantages of baby having his or her own room. Following are some tips for helping your baby sleep. 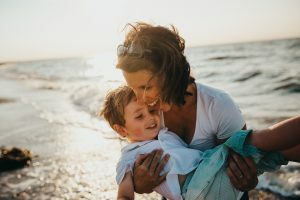 None of these tips is intended to advocate or promote a particular parenting style or school of thought; these are tips that are applicable to all sorts of parenting approaches. Here are some ideas. For young babies, especially newborns, the lights, open space, and cold (relative to the womb) temperatures can be overwhelming. Swaddling, or wrapping your baby closely in blankets, can go a long way to helping baby feel secure enough to sleep. If you have trouble with swaddling, or it does not seem to be working, try wrapping baby more closely. Remember how tight he or she was in the womb just days or weeks before! It sometimes surprises parents how closely baby needs to be swaddled to feel comfortable. Of course, you should never tie or fasten anything tightly around your baby. Fans or white noise devices can be very helpful for promoting baby’s sleep. Some parents use an air purifier, or even a radio set on static. Pretty much anything that makes a steady hum and does not pose any risk to baby’s safety will work. * Baby does not have to sleep in a crib or bed right off the bat. As long as it’s safe, there’s no “wrong” place for a baby to sleep. If baby sleeps well on a blanket on the living room floor, great! * Try varying how you put baby to sleep. 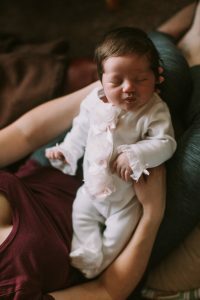 Some experts note that this keeps baby from expecting a particular action – rocking, singing, nursing – in order to fall asleep and fall back asleep. So it’s recommended that you vary your methods for putting baby to sleep. If babies do not get a lot of cuddling, interaction, touch, and a certain amount of peace and quiet, they may look to have those needs met at night. Try to satisfy your baby’s needs for closeness and touch during the day, and you may find that he or she rests more peacefully at night.